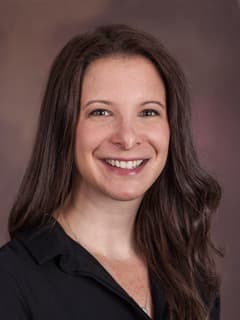 Julie A. Cooper, MS, RD, LDN, is a clinical dietitian in the Eating Disorder Assessment and Treatment Program at Children's Hospital of Philadelphia. Cooper JA. Celiac Screening in Eating Disorders [abstract]. Wellness Nutrition (SCAN) Dietetic Practice Group; 2017.
Cooper JA. Nutrition Across the Life Stages. In: Bernstein M, McMahon K, editors. Adolescent Nutrition. Burlington, MA: Jones & Bartlett Learning; 2017.
Cooper JA. The ABC’s of FBT in EAON: Considerations in treatment of children 12 and under with restrictive eating disorders. Workshop presentation at: Academy for Eating Disorders: International Conference on Eating Disorders; 2016 May 5-7; San Francisco, CA.